sit in the Court of Appeal and Supreme Court. 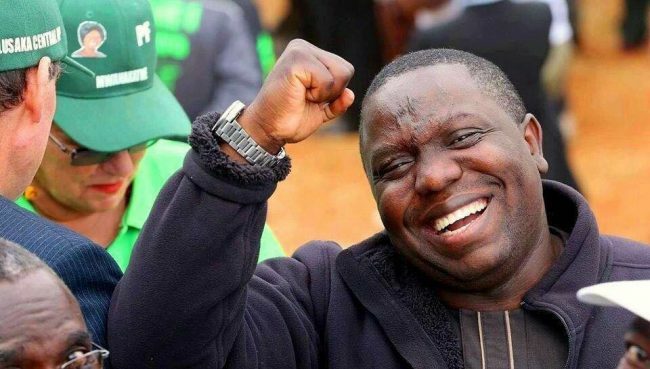 Another High Court judge has just done Zambia a service by ordering the registrar of Societies to restore the registration of Harry Kalaba’s party. The Lusaka High Court has quashed the decision by the Registrar of Societies to deregister Democratic Party (DP) saying their decision was not only illegal but irrational, unreasonable and procedurally improper. High Court Judge Sharon Newa has since directed the Registrar of Societies to issue the party with a duplicate certificate of registration. In this case, the Democratic Party, through its national secretary Precious Ntambu, commenced judicial review proceedings challenging the registrar’s decision to cancel registration of the party, arguing that it was illegal. The Registrar deregistered DP on June 6, this year, on grounds that it had not addressed the issue of why it should not be cancelled. But delivering judgement, Thursday, Justice Sharon Newa said the decision to cancel the registration of the party was illegal, irrational and procedurally improper. “In this case, not only was the Registrar of Societies decision to cancel the registration of the applicant as a political party illegal, it was also irrational, unreasonable and procedurally improper and I declare so, and the applicant succeeds. I accordingly quash the registrar’s decision and direct the registrar of societies to issue the Democratic Party with a duplicate certificate of registration. The applicant is also awarded costs to be taxed in default of agreement, leave to apply is granted,” said judge Newa. We are looking toward to a day when court of Appeal and Supreme Court shall be cleansed and bad eggs replaced with credible judges from the High court. Daily Nation scandal: Where is the Supreme Court?